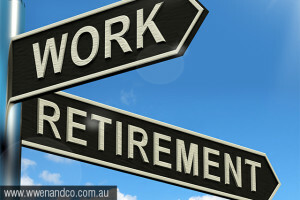 Before an SMSF starts paying a transition to retirement income stream (T.R.I.S. or) to a member, the member must have reached their preservation age. Preservation age is the minimum age that a member can access their preserved super benefits without satisfying another condition of release. From 1st July 2015 the legislated rise in the preservation age comes into effect and affects people born after 30 June 1960. A member who turns 55 during the 2015-16 financial year cannot start a transition-to-retirement income stream (TRIS) during that year. When will my T.R.I.S. start? For those who were born after 30 June 1964 the preservation age will be 60 and a TRIS can start from the 2024-25 year and onward. The ATO has announced that SMSF trustees may face penalties if they accidentally pay benefits to a member, who is not eligible, resulting in a breach of the benefits payment rules.